I really did intend to post this Monday night, but things got out of control this week. In a very good way. My news is that I took on a very last minute editing job for Robby Gallaty, who also happens to be my pastor. 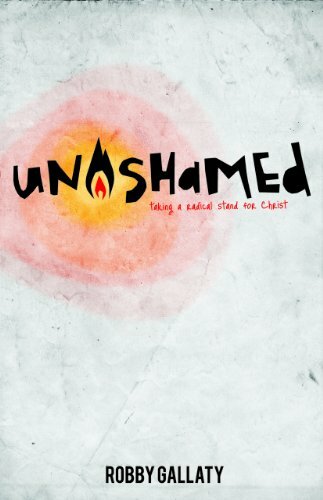 The book, Unashamed: Taking A Radical Stand For Christ, comes out on October 15th, so I had about three days with the book between Sunday night and last night's deadline. I can't really ethically promote it on here since I put a lot of work into it, but I will be posting about it. And probably giving away a copy. So yeah, actually I will be promoting it, just not reviewing the writing. Anyway, that kept me busy for a few days, but now I can finish my update on National Book Festival. After we saw Suzanne Collins, we were exhausted and hot and very hungry, so we decided to find somewhere air conditioned to eat lunch. We ended up at the Smithsonian where we had lunch and checked out the Natural History exhibits (they still have triceratops displayed as a dinosaur!). My health has been acting up again lately, and we wound up scrapping all of our plans for dinner and visiting my cousin and decided to head straight back for Chattanooga around 4:30. Except we got lost on the metro. While we were on the wrong line, heading in the wrong direction, there were metro delays. Which means we spent a good two hours on the wrong train and about half of that was sitting in a tunnel. This is why I live in the South where we don't even try with public transportation. Anyway, long, boring story short, we saw Suzanne and got our books stamped, saw the Washington Monument and the Capitol, and had a metro adventure. Thankfully, we made it back home in one piece and without hating each other. It turns out that Bestie is one of the few people I can spend 20 hours in the car with over the course of two days and not want to murder. So yay for Bestie and a fun trip, but boo for whatever is currently wrong with my body. I've got quite a few books to review this week and I still need to finish my DBF posts, so look for those, plus a huge IMM catchup this weekend! I still need to finish my DBF posts as well. I hope you're feeling better!